Let’s face it. The primary reason why people wear content lenses is to look good. It’s a very persuasive reason of course if wearing spectacles makes you feel less confident in social situations or it hampers your profession or lifestyle in any way. And if you haven’t yet considered the absolute freedom of LASIK surgery. Switch contacts for glasses as soon as you get home from work. Limiting the hours you keep your contacts on reduces the risk of infections like Pink Eyes and also mitigates some impact of indoor/outdoor air pollution. • Antihistamines, taken to fight allergies, have a side effect of drying out the eyes. Some acne medications and acetylsalicylic acid (ASA) also have a similar impact. Introducing a foreign object like contacts into dry eyes is a recipe for irritation, itching, redness, blurred vision etc. 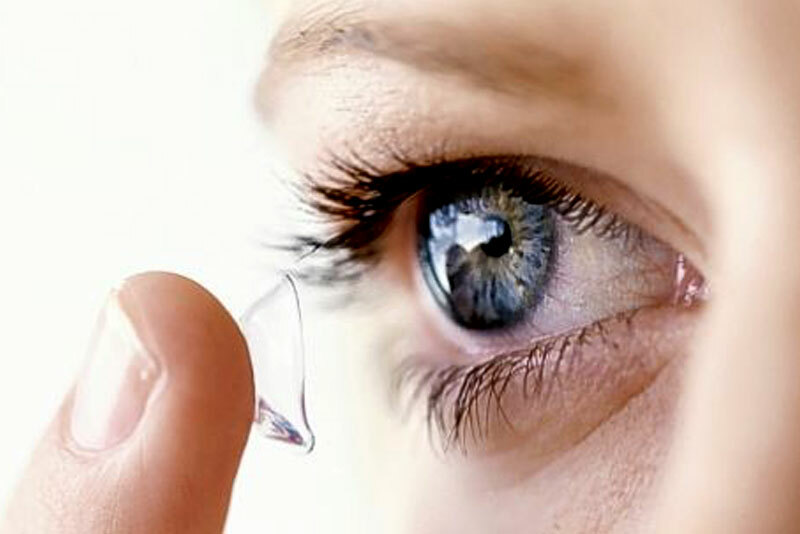 because the contact covers the surface of the eye and restricts the flow of oxygen. Plus, you’re not supposed to rub your eyes with contacts on. You got to take them off while rinsing or putting in soothing eye drops… These niggling problems can be avoided by wearing lenses for as less time as possible – or not wearing them at all — when you think your eyes are feeling gritty and dehydrated.